It’s time for my annual Wilde Awards, when I name the best books for children and young readers of the year. As I put together this list for the 22nd year and I reflect on the books I’ve read, I find myself examining them in the context of the year’s current events. Children’s books, like most literature, reflect the impact of the #MeToo movement. Several books were removed from publication, and artists and authors were cited for sexual misconduct with colleagues. ▪ Will the book lead to meaningful discussion, or understanding? ▪ Will it engage children? ▪ Is it made to be shared? ▪ Does it have the rhythms, rhymes, word play and a thoughtfulness that make it successful when read aloud? ▪ Does it have the “read-it-again” quality that makes children want to hear it again and parents pleased to have them ask for it? ▪ And finally, does it have strong characters, compelling tension and a satisfying resolution? Here is my list of my favorite children’s books. Soon, I’ll reveal my winners for young readers. The Wilde Awards Live will be presented at Quail Ridge Books at 7 p.m. on Dec. 4. There will be an in-store book fair as a fundraiser for Douglas Elementary School. 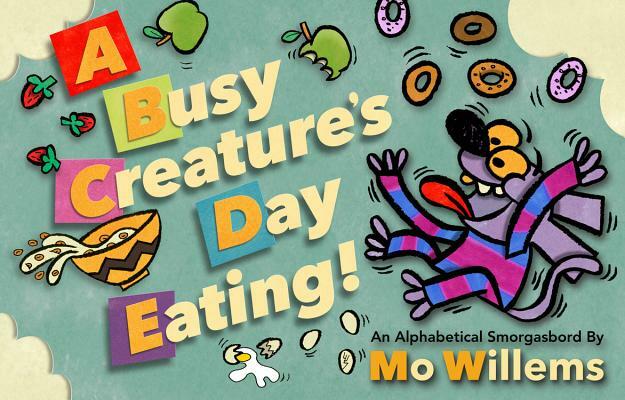 ▪ “A Busy Creature’s Day Eating!” Mo Willems (Hyperion): The adventure begins as a comic creature eats apples and cereals. Quickly he moves to a “huge hot-sauce halibut hoagie.” His eating reaches misery in the latter part the alphabet with “Ooooohhh” and “potty.” Mo Willems proves again he can make anything original. 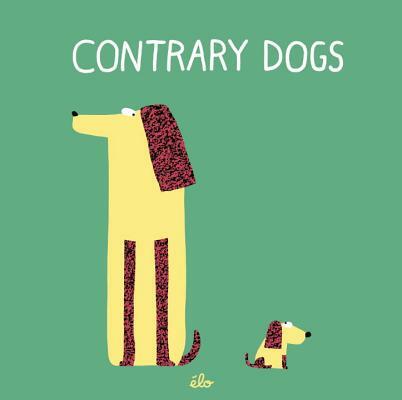 ▪ “Contrary Dogs” and “Birds of a Color,” Elodie Jarret (Candlewick): Two small pop-up books focus on concepts of color and size with big-time inventive fun and pop-ups sure to please parent and child. 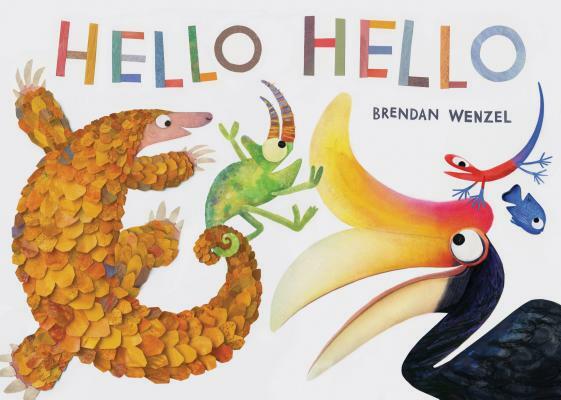 ▪ “Hello Hello,” Brendan Wenzel (Chronicle):A visually playful examination of how animals are alike and different. Humor and concepts are strengthened by the unique illustrations. The backmatter labels all the animals and notes the many that are endangered. 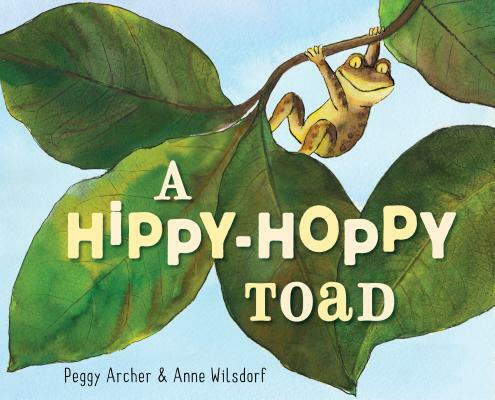 ▪ “A Hippy-Hoppy Toad,” Peggy Archer (Random House): This rhythmic, rhyming read-aloud follows a “teeny-tiny toad” who leaves his “teeter-totter twig” when it snaps. Landing on a “raggy-shaggy tree” is only a temporary site and his every adventure gives an opportunity for word play. 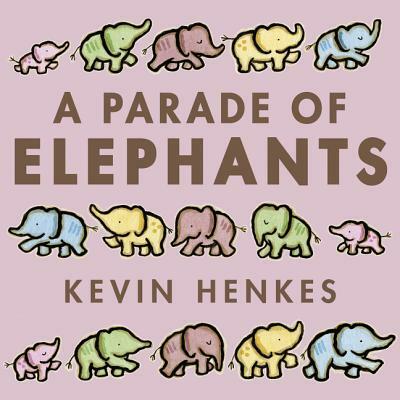 ▪ “A Parade of Elephants,” Kevin Henkes (HarperCollins): The genius of simplicity creates a book that embeds counting and graphing in a lyrically-described elephant adventure. 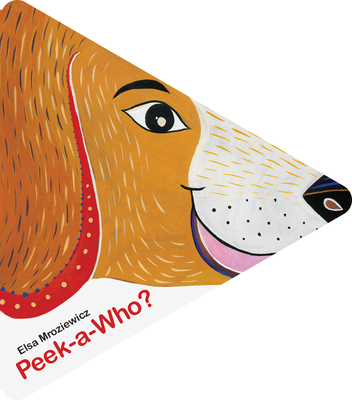 ▪ “Peek-a-Who?” Elsa Mroziewicz (Minieditions): Questions about which animal makes which sound find new expression in this brilliantly-designed board book. Sturdy pages unfold to add an element of surprise. 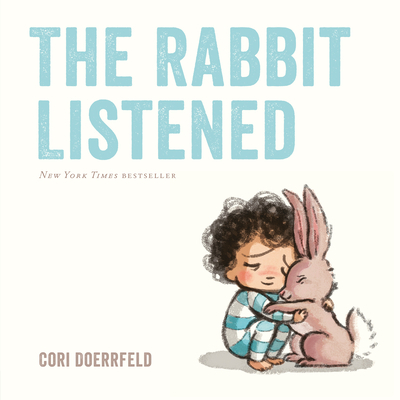 ▪ “The Rabbit Listened,” Cori Doerrfeld (Dial): Taylor is devastated when a flock of birds destroys his block structure. Animals appear to offer advice. The chicken suggests talking, the ostrich ignores the situation by burying her head under blocks. Only the rabbit listens. A simple story with psychology and imagery that open discussions. 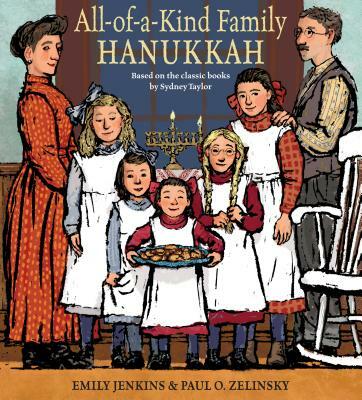 ▪ “All-of-a-Kind Family Hanukkah,” Emily Jenkins (Schwartz & Wade): The classic series comes to picture books as the five girls prepare for the holiday. Full of the warmth, traditions, and caring that made this series endure. 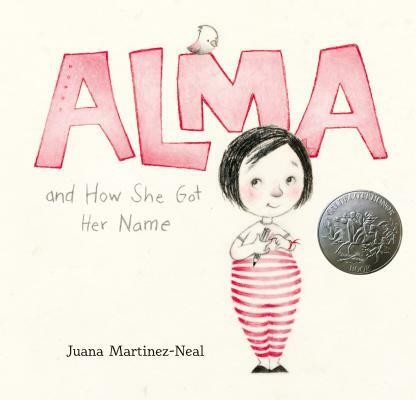 ▪ “Alma and How She Got Her Name,” Juana Martinez-Neal (Candlewick, ages 3-7): There’s a reason for Alma Sofia Espernza José Pura Candea’s long name and her father has a lyrical way of explaining the familial significance. 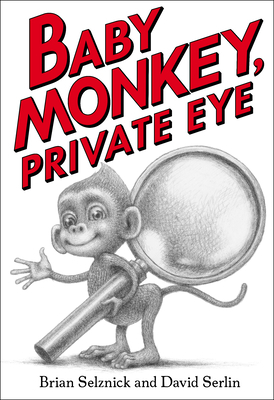 ▪ “Baby Monkey, Private Eye,” Brian Selznick (Scholastic): A 200 page I-Can-Read, a mystery, a comic view of procedure? 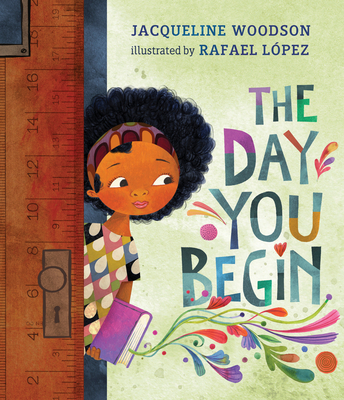 ▪ “The Day You Begin,” Jacqueline Woodson (Nancy Paulsen): “There will be times you walk into a room and no one there is quite like you.” Economic, cultural and language difference are poignant threads in this powerful story of children finding confidence. 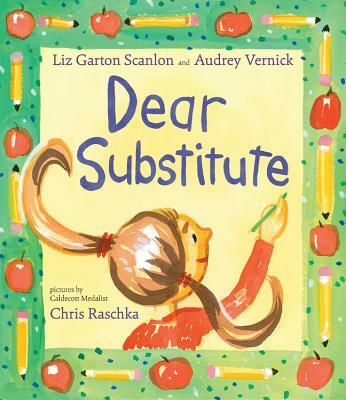 ▪ “Dear Substitute,” Liz Garton Scanlon and Audrey Vernick (Hyperion): Short witty letters express the unnamed narrator’s shifting emotions when a substitute arrives. Complaints gradually change to appreciation. 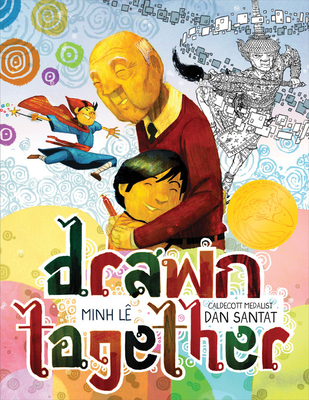 ▪ “Drawn Together,” Minh Le (Hyperion): How can you communicate with a grandfather when you have neither language, culture, or shared experiences? Through sharing fantastical drawing and vivid world building, a young Asian boy and his grandfather find a splendid commonality. 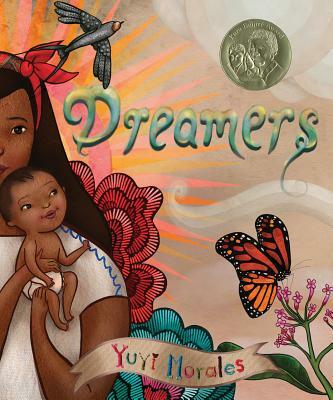 ▪ “Dreamers/Sonadores,” Yuyi Morales (Neal Porter Books): English and Spanish languages blend beautifully in this autobiographical mixed-media picture book of Morales’ journey of hope, love and dreams upon entering the United States with her small son. Specific to her Latinx experience, it speaks universally to and about those who have faced the confusion and discrimination of immigration. 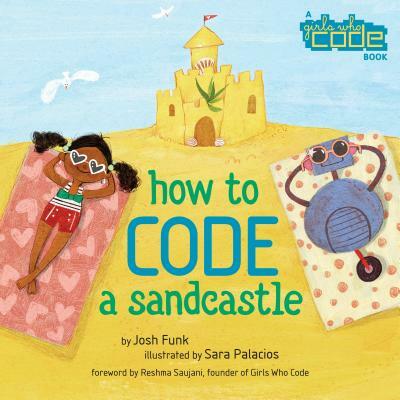 ▪ “How to Code a Sandcastle,” Josh Funk (girls who code): A small girl and her robot friend use technology to build a castle. Makes coding understandable…even those unfamiliar. 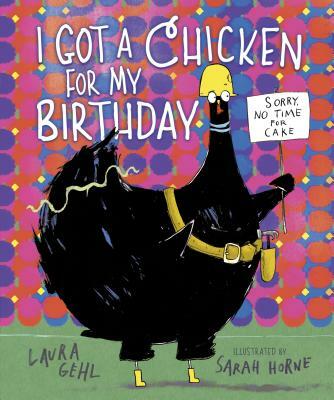 ▪ “I Got a Chicken for My Birthday,” Laura Gehl (Carolrhoda): Most children have faced birthday disappointments, but this narrator’s Aunt Lola sends a chicken instead of tickets to the amusement park. The story shift quickly into the absurd and the resolution offers a bigger surprise than the narrator (or readers) could imagine. 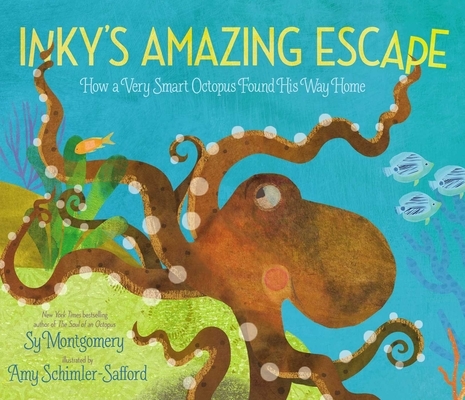 ▪ “Inky’s Amazing Adventure: How a Very Smart Octopus Found His Way Home,” Sy Montgomery (Simon and Schuster): Noted nature writer writes of the real life adventures of an escaped octopus, weaving facts seamlessly facts and story. 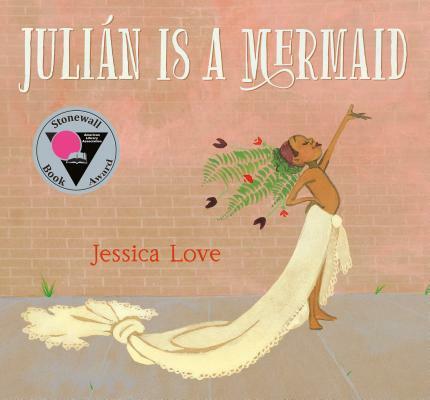 ▪ “Julian is a Mermaid,” Jessica Love (Candlewick): The writer-illustrator introduces Julian, a boy who sees mermaids everywhere and longs to be one. A lovely blend of picture and text show his transformation and the understanding of his Abuela. Spanish woven through the text strengthens the story. 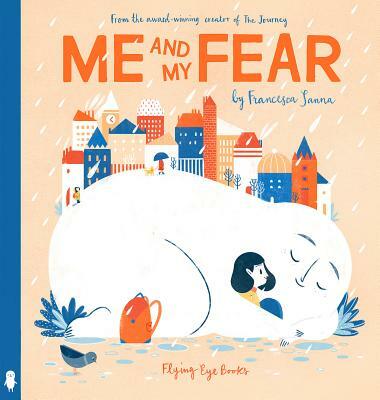 ▪ ”Me and My Fear,” Francesca Sanna (Flying Eye Books): Graphic representation and simple text are a wonderful combination for young narrator who begins the story about her describing her “tiny friend called Fear.” Fear’s illustration is indeed small at story’s beginning, but grows larger and uncomfortably protective. Almost overwhelmed, he girl’s isolation is breeched by a new friend. 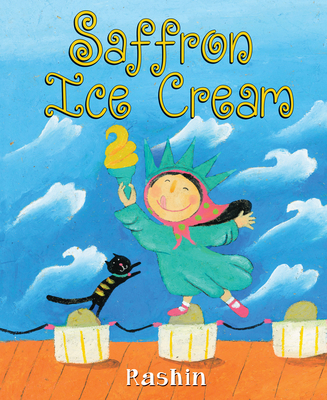 ▪ “Saffron Ice Cream,” Rashin Kheiryeh (Arthur Levine): The first-person narrator, an Iranian immigrant, travels by subway to visit Coney Island’s beaches for the first time. En route, she remembers her past at the Caspian Sea — the delicious saffron ice cream and the separation of the men and women on the beach. This is a story to talk about cultural differences and the sameness that unites us. 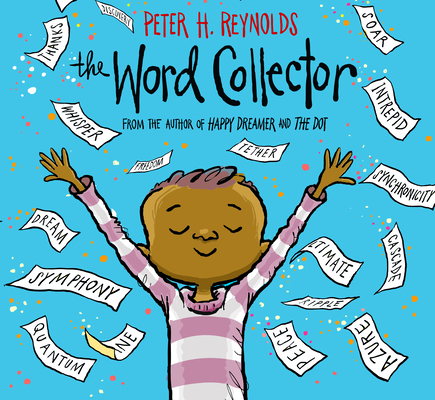 ▪ “The Word Collector,” Peter Reynolds (Orchard): Jerome is a word-enthusiast who gathers words that are “short and sweet,” or “multi-syllable words that sounded like little songs.” But when his organized collection goes flying and the words are jumbled, Jerome discovers the amazement of stringing words together and sharing them with others. 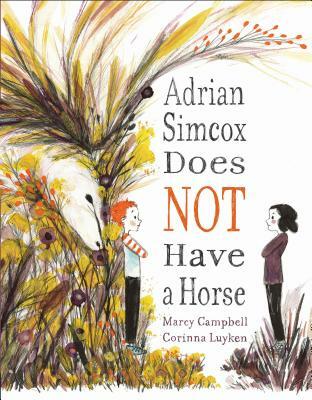 ▪ “Adrian Simcox Does Not Have A Horse,” Marcy Campbell (Penguin Young Readers): Chloe insists that her classmate is lying about having a horse. Illustrations by Corinna Luyken aid the subtle inferences of Chloe’s realizations about Adrian’s circumstances and impressive imagination. Conversations about poverty, kindness, and the gray shades of truth are all held in this book. ▪ “The Day War Came,” Nicola Davies (Candlewick): The author writes, “Of the world’s 22.5 million refugees…more than half are children.” She offers the view of an ordinary child, who goes to school on a typical day until “just after lunch, the war came.” The child loses her home, family, country and schooling until other refugee children welcome her back into learning. Rebecca Cobb’s illustrations parallel the power of the author’s words. 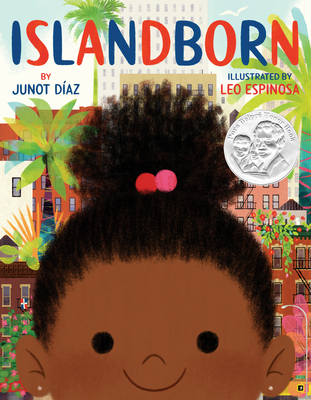 ▪ “IslandBorn,” Junot Diaz (Dial): The adult author makes a stunning debut in children’s books as he describes how Lola’s community contributes to paint a poetic powerful picture of “the Island” her family left when she was just a baby. 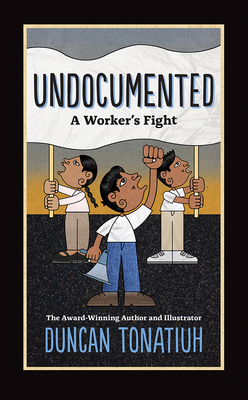 ▪ “Undocumented: A Worker’s Fight,”Duncan Tonatiuh (Abrams): From the beginning, the format of this book shows its uniqueness with the codex form used by Mixteco. Juan, who is from that culture speaks of his tireless work and the plight of immigrants. 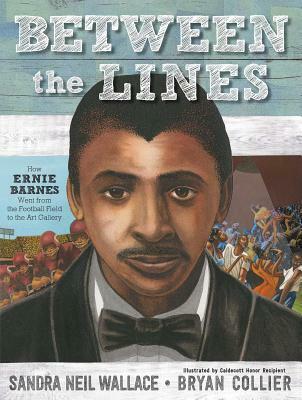 ▪ “Between the Lines: How Ernie Barnes Went From the Football Field to the Art Gallery,” Sandra Neil Wallace (Simon and Schuster, ages 8 and up): The Durham-born football star faces down prejudice, learning disabilities and poverty before he’s allowed to act on his passion for art. You can learn more about Barnes at the North Carolina Museum of History, where “The North Carolina Roots of Artist Ernie Barnes” exhibition runs through March 3. 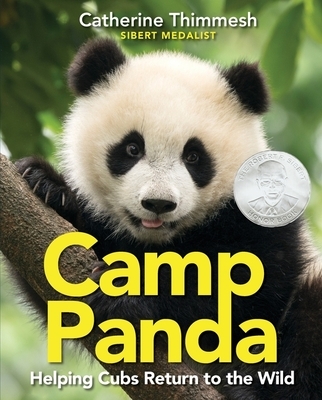 ▪ “Camp Panda: Helping Cubs Return to the Wild,” Catherine Thimmesh (Houghton Mifflin): Adorable photos are only part of describing pandas’ problems and the solutions that scientists have invented through the scientific process and trial and error. ▪ “Counting on Katherine: How Katherine Johnson Saved Apollo 13” Helaine Becker (Holt): The picture book biography zooms in on the childhood curiosity of the future mathematician who contributed so much to the Apollo program, despite gender and race prejudice. Illustrations feature mathematical computations in the background creating a perfect expression of her passion. 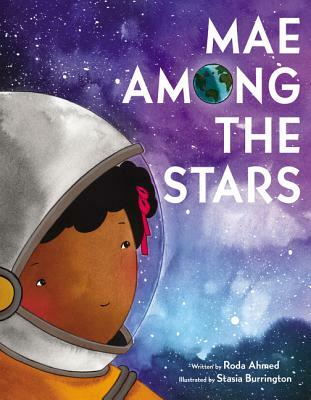 ▪ “Mae Among the Stars,” Roda Ahmed (HarperCollins): The focus of this picture book biography is on the childhood of Mae Jemison, the first black woman in space. Her curiosity, passion for all things space, family support and school prejudices are present in equal measure. The Afterwards gives an astounding view of her accomplishments. 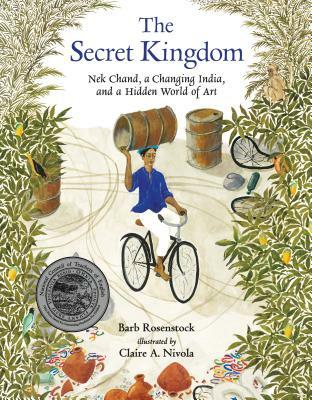 ▪ “The Secret Kingdom: Nek Chand, a Changing India and a Hidden World of Art,” Barb Rosenstock (Candlewick): When Nek Chand Saini becomes a refugee from his peaceful home in a small Punjab village, his family flees to “a sharp-edged city of colorless concrete.” Over five decades, Nek creates a magical 13 acre “secret kingdom” from found objects. A fold-out photograph complements Claire Nivola’s detailed illustrations.